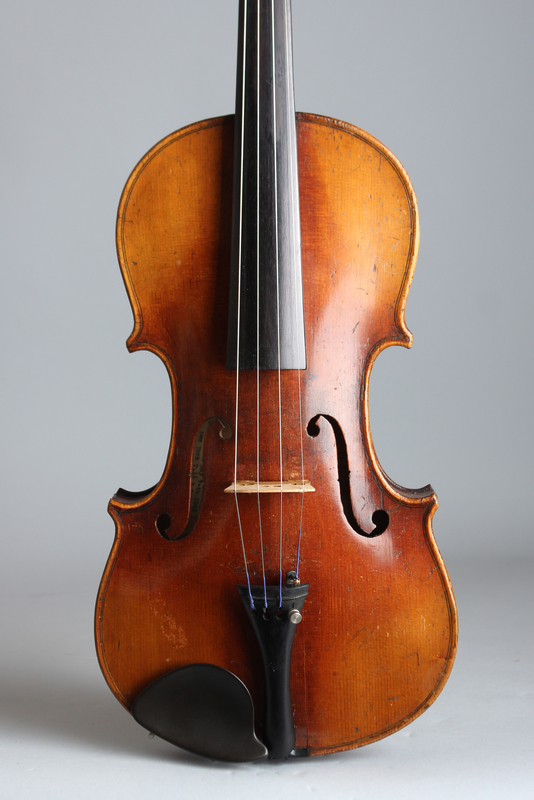 Violin (unlabelled) (early 20th C.), probably French, light reddish brown varnish finish, maple back, sides and neck, spruce top, original black hard shell case. Length of back is 14 1/2 in. (36.8 cm. ), 8 in. (20.3 cm.) wide at lower bout, and 1 7/16 in. (3.6 cm.) in depth, measured at side of rim. 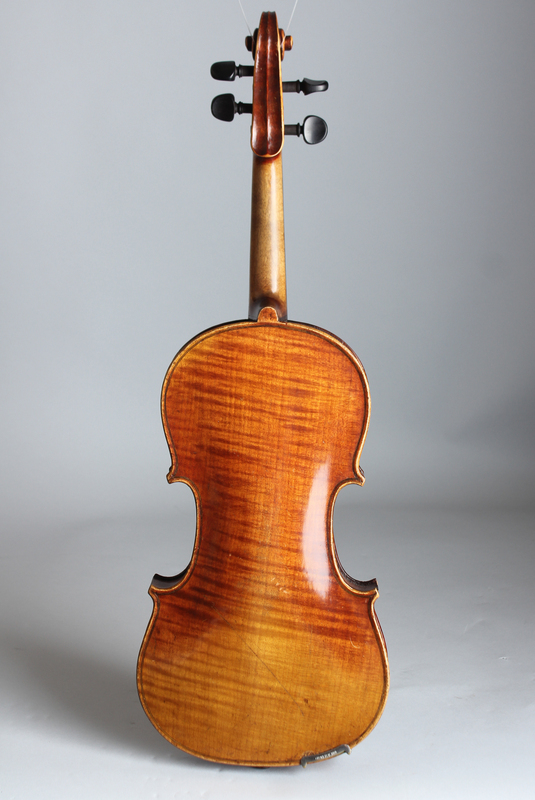 Scale length is 13 in. (330 mm.). Width of nut is 7/8 in. (22 mm.). 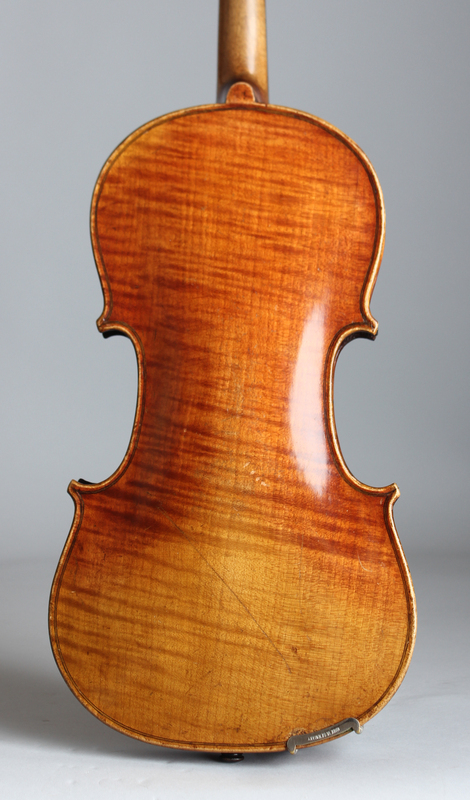 This is an older French-pattern 4/4 violin with a composite neck, a good player with plenty of volume and a crisp and balanced sound. No maker's markings, but carries a hand-typed label stating "Repaired and improved by Simon Rosen May 9 1943 New York". No other major repairs; general wear overall. 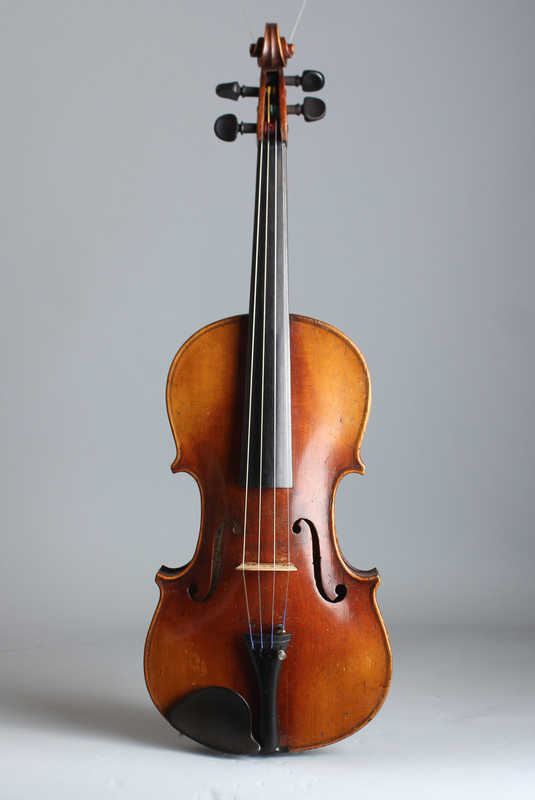 Includes period case and bow. Excellent - Condition.